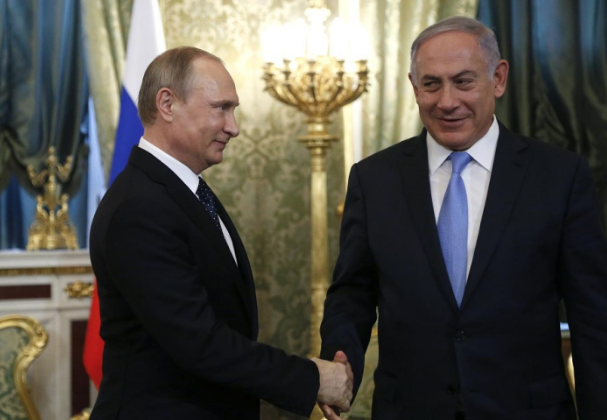 Netanyahu meets with Putin: What does this mean for Libya and Syria? US halts shipments of F35 Fighter Jets to Turkey. Drug Resistant Fungus becomes CDC "Urgent Threat"
In the biggest and most under-reported news of the week, a major shift has arrived in global oil production. 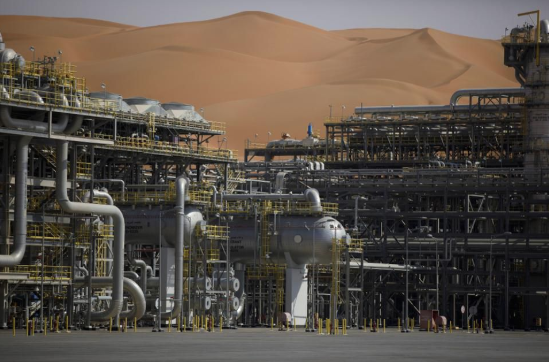 The Saudi Arabian state-owned oil company, Aramco, has announced that the nation’s vaunted Ghawar oil field has seen a drop in production. Commonly believed to produce 5 million barrels a day, Ghawar now only seems capable of 3.8 million barrels—and that number may drop again soon. This leaves the Permian Basin, located in the US Southwest, as the largest oil producer in the world. There are a host of ways to look at this. Some industry experts have suggested that Ghawar is still capable of 5 million barrels a day and that Aramco is slowing production for various reasons, including an attempt to drive up prices. Others have suggested the opposite, claiming that Ghawar and other Saudi oil fields are fading faster than anyone has stated publicly and that Peak Oil may be here at least for Saudi Arabia. Regardless, this revelation comes at an interesting time. Russia’s own oil production is both a tool for that nation’s foreign policy and a contentious political issue. US production is up, and will likely continue to rise; some experts put the US as the world’s leading petrochemical producer by the early 2020s. Given the seemingly-endless global thirst for oil, it is clear that a change in Ghawar’s out put will have a major effect on most aspects of the global economy, the strength of Saudi influence on the greater Middle East. Watch for desperation. If the Saudi's start slipping, they won't go quietly. Prime Minister Benjamine Netanyahu’s unexpected meeting with Vladimir Putin raises some eyebrows in the days leading up to Israel’s April 9th election. This meeting is part of a broader spectrum of high-level conferences with world leaders as Netanyahu attempts to cement his foreign policy success, particularly by strengthening ties with the United States and Russia. This move was broadly overlooked by the press, but Netanyahu’s foreign policy has potential implications for US interests in the region. As the GWOT shifts into its next phase and Russia attempts to assert itself in the Middle East and the Levant, regional players like Israel will find themselves walking an interesting diplomatic and military line. Balancing their own needs with shifting geopolitical dynamics is an exercise in balance.Israel is a longtime US ally, but both Russia and China are actively seeking to undermine existing US alliances globally. Additionally, Putin's honoring of Soviet-era alliances by supporting Bashir Al-Asad makes a strong global statement: Russia doesn't back down from its allies. As interest in crypto-currencies and alternatives to the petrodollar start seeing more daylight, Russia's message to the world is that they are - if nothing else - going to honor their military commitments. That they do so even after the formal dissolution of their previous government sends a strong message both politically and militarily. How Russia and Israel approach Syria is certain to be less swashbuckling economic influence and more global chess, as is consistent with the Post-Soviet Russian Federation. When the U.S. toppled the Libyan regime of Gadaffi, it was very likely to send a strong message: The U.S. will not pay for oil in gold. It will pay in U.S. dollars. It's possible that Russia sees losing two allies in the region - both of whom have have demonstrated interest in a pan-African currency backed by gold. Further clashes between the UN-backed Libyan government and rebel forces loyal to a dissident general are heating up in the embattled North African nation. Government troops have launched a counter offensive to defend Tripoli from advancing rebels. The goals of the dissidents is open to interpretation. Some analysts have argued that this is a PR war, designed to garner attention and hopefully legitimacy in the eyes of the international community. Others see it as a struggle for control of the Libyan government and economy, both of which have been unstable in the wake of Ghaddafi’s death. Complicating all of this are the inconsistencies in the international response both internally and externally.Given the multi-year nature of both the conflict and the resulting international involvement and Libya’s role in Europe’s migrant crisis, this remains an issue of importance. The State Department has since removed any mention of this from their official website. 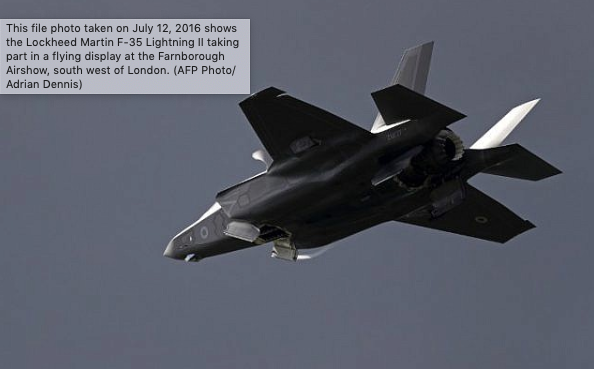 The US halts sales of F-35 related equipment to Turkey in protest of that nation’s defense contracts with Russia over a missile defense system. The US is concerned that operating both the S-400 missile system and the F-35 presents a security risk, potentially allowing Russian hardware to learn how to identify and track the stealth jet. Turkey has quietly been a key point of contention betweenRussia and the United States. The nation is a critical US ally and occupies an important strategic position geographically. The main advantage the US has had up till now is the ham-fisted nature of Russian policy toward Turkey: a mix of military aggression as the former Communist power attempts to assert itself in the region and diplomatic overtures. Russia’s arms sales have long been a means of currying favor and establishing diplomatic ties, and that may be part of their goal here. 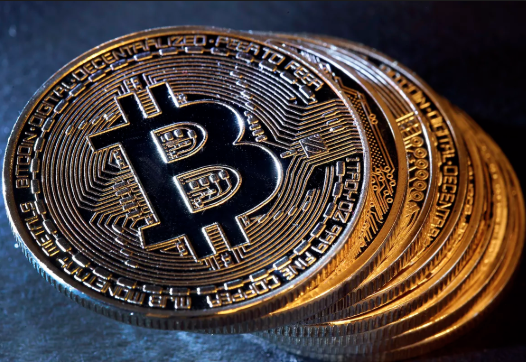 Bitcoin surges in value to the tune of a 20% increase, likely due to a “mystery buyer” entering the market. Prices rose due to a“single order that has been algorithmically-managed across three venues”. Analysts and experts are unable to point to any specific developments triggering the unusual order by a mystery buyer. Geopolitical tensions spill over into the marketplace as trade slows in 2019, per the WTO. The World Trade Organization had projected 3.7 percent growth this year, but has revised their predictions downward in the face of growing global strife and economic uncertainty. They cited concerns over systemic threats, including the ongoing trade dispute between the US and China. The ongoing tariff war between the two economic superpowers is only part of the equation. Brexit still looms, as does volatility in the fossil fuel marketplace resulting in part from regional tensions boiling across the Middle East and Levant. While Venezuela seems to be a regional issue for now, potential Chinese and Russian involvement there expand the front on the economic war to South America, introducing another point of tension into the market. The Trump policy of "America First" seems to be casting ripples across the global economy. 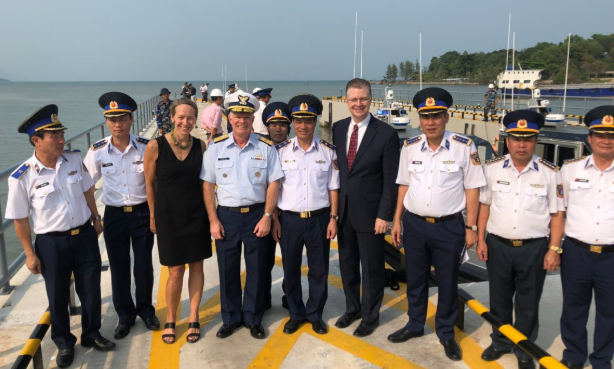 The US transfers six new coastal patrol boats to Vietnam in a sign of growing military ties between the two nations. The transfer includes 20 million dollars in infrastructure and equipment including training and navigational aids. US officials cite the move as a sign of their commitment to supporting a “strong, prosperous, and independent” Vietnam. There’s been talk for a while of the US building a block of regional allies—an “Asian NATO” as a counterweight to Chinese military expansion in the region. Given Vietnam’s geopolitical position, particularly vis-à-vis the Spratly Islands dispute, the Southeast Asian nation is an increasingly important ally. We can see a rough parallel in US diplomatic efforts with the Philippines, another significant regional player. As with the evolving situation in the Middle East and Levant, this is about securing a sphere of influence and supportive allies for a potential future peer-on-peer conflict. The US Army’s new Multi-Domain Unit may be a battlefield game changer as the force prepares for future peer-on-peer conflict. The Multi-Domain Unit puts long-range targeting, hacking, jamming, and space control under one command structure designed to neutralize A2/AD defenses—the layered systems of missiles, sensors, radars, and communication/control networks—employed by China and Russia. This is another sign of the times, as the US military shifts from the tactics, structures, and mindsets developed during the generational Global War on Terror towards a potential peer-on-peer conventional conflict.This announcement comes in the wake of recent popular news stories claiming that US forces consistently lost to their Russian and Chinese counterparts in simulated war games. As all three powers seek to expand their reach globally, this approach may shift the balance back in America’s favor should it prove as effective as claimed. Trouble Chinese tech giant Huawei comes under fire from UK cyber security officials for violating a series of security agreements made since 2010. These agreements included allowing extensive security reviews of Huawei’s hardware and software. The reviews, in part completed left UK officials with serious concerns about the risks that Huawei’s products posed to UK networks. 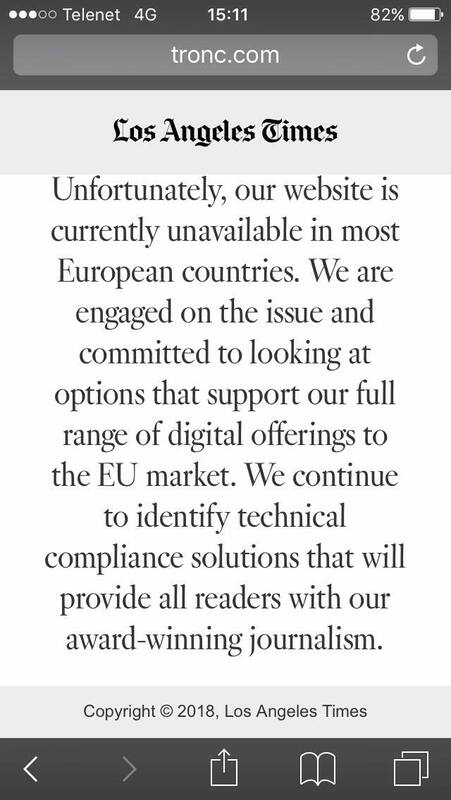 The UK is not alone in their concerns. The US and Canada have both dealt with similar issues, as have other players within the EU. 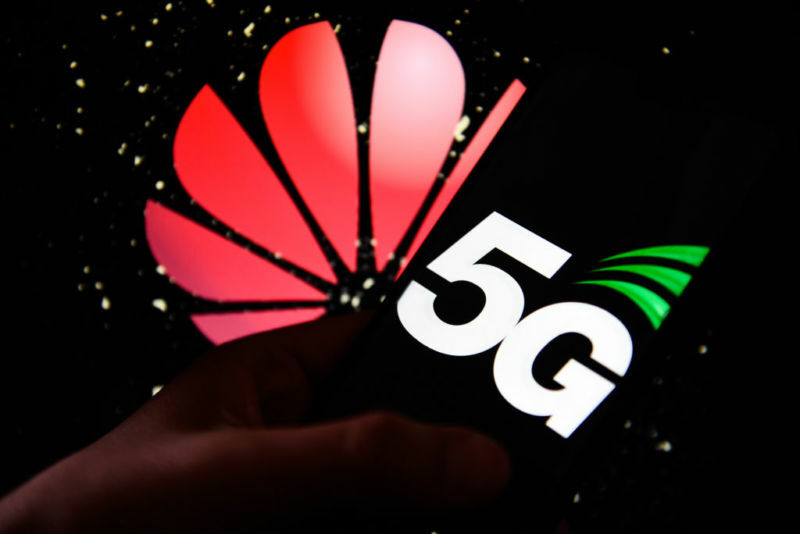 US intelligence agencies have gone so far to claim that Huawei has links to theChinese government and that their products contain backdoors for use by Chinese intelligence agencies. As of now, this has yet to be confirmed. However it would fit within a broader, historically established pattern of Chinese spycraft across the last few centuries. China has certainly been quick to embrace cyber-warfare and unconventional approaches in dealing with its global rivals. On the other hand one must bear in mind that Huawei, like many global corporations, may want the information for its own ends as well... putting Chinese tech development and Western security at odds. The FTC gives ISPs the go-ahead to block selected applications as long as they notify consumers first. The first fully visible move against Net Neutrality in the wake of its repeal last year. 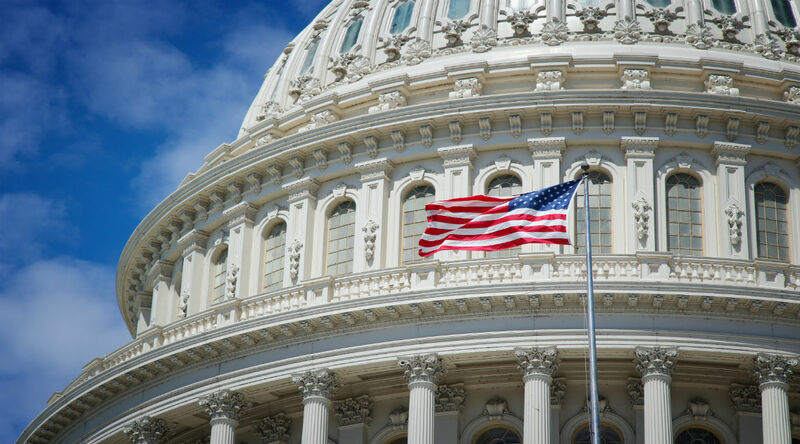 In contrast to previous regulations under the FCC, the FTC states that "blocking, throttling, or paid prioritization would not be per se antitrust violations” provided the ISP disclosed them to consumers well in advance. This new set of rules leaves the ISPs of America walking a very fine line between the demands of the market—in this case their customers—and pressures put upon them by tech giants and digital media producers. Complicating this is the limited scope of choices for said consumers within the marketplace; most Americans can only get their internet service from one or two ISPs thus making it difficult to shop around. For those with concerns about price, privacy, and metadata collection, this is an especially important moment. US officials set their sights on a new strategy for electric vehicle production. Via a series of meetings with both US car makers and lithium mining companies, US officials seek to establish an “electric vehicle supply chain strategy” nationwide. The aim is import substation, replacing foreign raw materials with domestic ones for purposes of manufacturing the batteries and systems used in electric cars. As the Reuters article notes and most of us know, the raw materials for lithium-ion batteries chiefly come from China. North American production slowed during the 70s, 80s, and 90s due in part to environmental concerns. 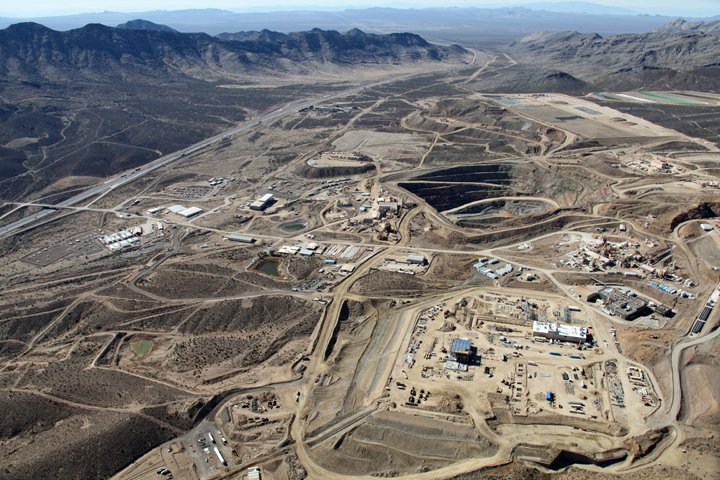 US lithium reserves are only 1/10th the size of China’s, and its production only about a third as big. In the long run, the development of lithium mining and lithium ion battery production will necessitate the US building trade agreements with other nations, including DR Congo, Australia, Chile, and Argentina. Oil prices are posed for the biggest leap in a decade, in part due to forecast demand from the developing world. OPEC has proposed a cut of 1.2 million barrels per day as an effort to boost prices, but that plan may stall on Russian reticence to continue the agreement after September. Another factor fueling the rise in prices is the projected explosion of demand from the developing world, with oil consumption in Africa alone slated to rise 77percent over the next 20 years. It’s a complex time in the petrochemical market, with uncertainties of both supply and demand looming all over. Russia is playing an independent game fromOPEC, looking for new markets and outlets in Europe even as the political situation there grows more tense. Coupled with the concerns about Saudi Arabian oil supply, this makes for an interesting time, particularly as North American moves into the summer travel season. US employment numbers suggest robust economic growth, despite recent concerns of a domestic slowdown. The number of job holders in the US jumped from a 17 month low in march, easing concerns about a looming domestic recession. The numbers were further bolstered by slow but steady growth in wages, another mitigating factor when facing fears of an economic slowdown. The US economic is shaped by a number of concerns right now: fuel prices, trade wars, the lingering impact of President Trump’s tax cut package, and the ongoing problems from various natural disasters. Consumer confidence is shaky just now, albeit much higher than a few years ago. In aggregate this may be enough to convince the Federal Reserve to hold steady on interest rates. How it will continue to sway voters as we move into an election season is another question. 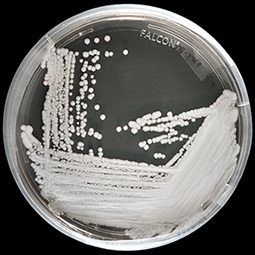 A drug resistant infection, a fungus called Candida auris, is making headlines around the globe as the number of cases rises dramatically.The CDC has placed it on the list of “urgent threats”, noting that it is resistant to commonly used anti-fungal medications and is able to spread rapidly in most environments. Though cases of Candida have been on the radar of doctors and researchers for several years now, it is becoming alarming more common worldwide. Drug resistant fungi are the latest fear in a flood of drug resistant germs and bacteria. Typically most dangerous for folks with weakened, compromised, or not fully developed immune systems, these “superbugs” are an evolutionary adaptation to avoid the common methods we use to kill them. They spring from a variety of sources, including over-prescription of antibiotics and overuse of germicides and fungicides. As humanity becomes more mobile and mass migrations become more common, the challenge posed to public health by these infections will only grow. Britain has proposed new laws regulating social media content. These include the creation of a watchdog agency with the power to fineor otherwise penalize social media outlets and technology firms if they allow users to post or share harmful content. UK officials cite concerns about young people, particularly following the death of Molly Russell, a 14 year old girl who committed suicide after viewing online material about self-harm and depression.  Concerns about the health of young people are the most commonly and publicly cited reason for the new laws. However, given the rise of the alt-right and populism worldwide and the ongoing protests in France, one must assume that British leaders have another motive in establishing new controls on the flow of information. Europe's trend towards using privacy and data usage laws to regulate the internet treads a fine line between protecting online information, and denying viewpoints that don't conform to the European Union's norms. While not quite Soviet in it's approach, it does illustrate the propensities for governments to restrict information, rather than oppose it with political reasoning. A screen capture taken by an ISG team member in Europe. If you enjoyed this INFOSUM, please share it with your friends. We work hard to bring you factual, unbiased accounts of current events and analysis regarding how they may impact you. If you'd like to receive notifications when we publish new material, please 'join the pack'!